UCB has launched a website for the More than Motion Facebook-based community it set up in 2012 for people living with Parkinson’s disease. The firm says the new online destination, which includes a new desktop and mobile-responsive website, forms the next chapter in its work on the community as it looks to encourage to share their stories. 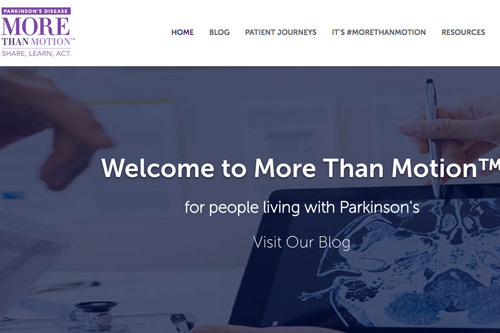 In its original incarnation the More than Motion Facebook page featured patient videos, including and a reality television style series on how patients and their families are affected by Parkinson’s disease. They could also register to receive the More than Motion magazine that UCB publishes. The firm says its new desktop and mobile-responsive website will help bring that magazine’s content to a wider audience, including via a downloadable digital edition. Patients can also upload their own photos to the site, which UCB said will “bring them into an active support and information group”.